Arriving on Wednesday afternoon – later than expected due to delays – and then departing on Friday morning, the visit to Gibraltar was indeed short. It was also very sweet though, with the result being the obvious icing on the cake. We left it late but thanks to Dean Ebbe we got that all-important goal that takes us into the next round of the Europa League. 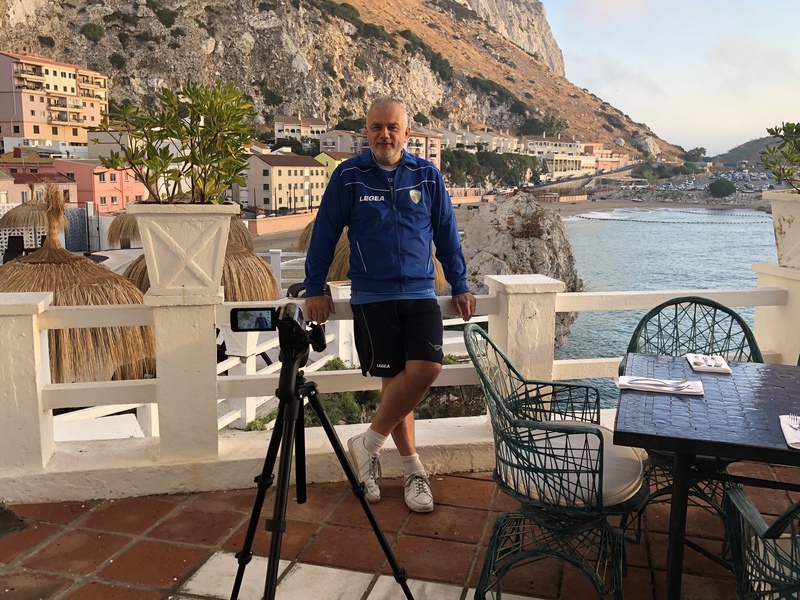 Apart from photographs of the players at the airport, the last real business of the trip was to record the link clips for The New Saints’ latest video podcast. Filmed on the balcony of the hotel where we ate breakfast, the backdrop is by far the most picturesque yet. The podcast will be on the TNS website in due course and there are interviews with (in order) Scott Ruscoe, Tom Holland, Brian Jones, Paul Harrison, Den Ebbe and Scott Ruscoe again. We also filmed lots of footage during the trip so that will also be on the podcast. Leaving home on Tuesday (as we stayed overnight in Manchester before flying) and then back on Friday evening means it was the best part of a week away. This is where you need support from your partner and on that front my wife, Debby, is brilliant. It’s nothing new though, as in our early years of marriage I travelled extensively, mostly across Africa and North America. It was no problem then and it isn’t now. She’s a star. A life partner is one of the biggest choices that we make in life. Yes, there are always externals and things that we have no control over, as well as changing circumstances. However, for our part and as much as it depends on us, it’s important to choose wisely.